As things change with infertility treatments, our center must also change. We are constantly evaluating new technology to explore new avenues to increase the success of what we do. We have added many new services and seen a lot of positive changes over the years. As a result of many of these changes, we have also seen many new babies born. California IVF: Davis Fertility Center, Inc. was founded with the premise that our patients come first. Our growth is a reflection of the success we have had with helping families grow while providing infertility treatments with compassion and understanding. This page outlines many of the milestones over the years. The events and stories listed here are in chronological order with the newest news appearing first. For more updates and current events, and infertility information, please visit California IVF: Davis Fertility Center, Inc. on Facebook, Twitter, and Google Buzz. We also maintain a current infertility blog at CaliforniaIVF.blogger.com. We also have an infertility newsletter available at Babies in Davis. California IVF Fertility Center opens a new center in Sacramento. The older offices in Sacramento and Davis are closed. The new facility was built specifically with the new changes and new generation of IVF treatments in mind. An extremely complex air system, modifications to the building foundation, and full operating suite round out a very beautiful office. We are proud of our new location and the success that has already been demonstrated in the new facility. Oocyte vitrification allows for live births from frozen eggs. California IVF remains one of the only clinics in the Northern California region to have live births from frozen oocytes. The oocyte preservation program expands to offer services for fertility preservation and oncofertility. Knowledge gained from vitrification is applied to embryos and success rates climb. California IVF changes the techniques used for freezing embryos and converts to frozen embryo transfers over fresh transfers as pregnancy rates jump 15-20%. Combined with genetic testing and modifications to the handling of embryos prior to transfer, California IVF prepares to usher in a new generation of IVF. Changes to medication protocols add to the changes in treatment methods and higher numbers of blastocyst embryos are being stored per patient. California IVF acquires Sacramento competitor and forms a collaborative arrangement with UC Davis Health System in the same week. The expansion efforts will help California IVF expand services to more patients and pave the way for future developments through research. California IVF will remain committed to the training and education of the next generation of doctors and the development of new technology. To align with the expanded footprint of our services, California IVF: Davis Fertility Center, Inc. was changed to California IVF Fertility Center. Social networking growing fast. Social Media and Infertility – California IVF Goes Mobile Social media is changing how California IVF connects with the world. We can now be found on Facebook, Twitter and Linked-In. Social media continues to expand at a rapid pace. California IVF: Davis Fertility Center, Inc. has updated it’s web presence by adding new social media outlets. Using these new avenues for information distribution, we hope to bring the latest clinic updates and infertility news to a wider range of interested readers. 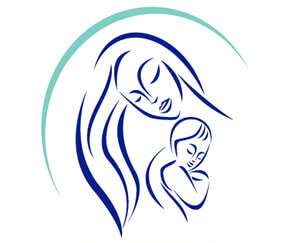 California Conceptions Donated Embryo Program launched. When women are not able to conceive with their own eggs or have not had success with other infertility treatments such as IVF, donor embryos may offer hope. Embryos left over after couples complete their family building can be donated anonymously or to another person known to them. The California Conceptions Donated Embryo Program offers donated embryos for embryo adoption. While not actually an adoption in the traditional sense, donated embryos offer recipients a low cost option for having a baby. This new program raises hope even more by offering qualified recipients a 100% refund option. After years of heartache and stress, women suffering from infertility have an alternative to adoption. Online donor egg database launches. The donor egg program at California IVF has consistently achieved outstanding clinical pregnancy rates. The success of this program has placed a high demand on the clinic to find quality egg donors that meet our high standards for participation. California IVF: Davis Fertility Center, Inc. now offers an online egg donor application process for women wanting to donate eggs. Egg donor recipients will benefit by being able to view donor profiles online once the project is completed. October 2010 Newsletter published featuring stories about our annual family reunion. Other stories in the newsletter include information on egg freezing services and the availability of our online photo gallery. Newsletter archive located on www.BabiesinDavis.com along with multiple photo galleries highlighting the true success of our program…the babies! Vitrification opens the door to egg freezing and fertility preservation. Traditionally, embryos have been stored using a slow freezing technique that was developed and refined over many years. California IVF has developed small modifications to this technique that allow for a high rate of embryo survival after thawing. A newer procedure called vitrification offers the potential to improve the rate of embryo survival even further. This new technique also opens the doors for egg freezing. Prior to vitrification, eggs were too prone to damage during the slow-freeze process. Now with near instantaneous freezing, eggs have a much better chance of surviving. By adding the capability of freezing eggs, fertility preservation services are becoming a reality. This gives women the opportunity to save their eggs for the future. This can be very useful in the setting of a career-minded woman that is not yet ready to start a family, or a woman facing chemotherapy or radiation therapy as part of a cancer treatment protocol. This field is in its infancy and California IVF remains committed to expanding the possibilities for our patients as the technology evolves. PGD services expand. California IVF has teamed up with GSN to offer expanded options for genetic testing of embryos and gender selection procedures. Pre-implantation genetic diagnosis, or PGD, is a technology that allows a cell to be removed from an embryo and forwarded to a laboratory for genetic testing. The main goals of the testing are to identify errors in the number of chromosomes that embryos contain. When there are known inherited or genetic diseases in the family, PGD can offer the patients an opportunity to avoid the genetic abnormality by testing the embryos before they are placed into the uterus. In the past, the test looking for the correct number of chromosomes was limited to 12 out of the 23 pairs of chromosomes. Newer technology now lets us evaluate all 23 chromosomes, thereby increasing the information that is known about a developing embryo. PGD and PGS is a rapidly developing field and California IVF: Davis Fertility Center, Inc. remains a Sacramento area leader in the development and application of pre-pregnancy genetic testing options. Dr. Zeringue joins the district council for CAP/MPT, a medical liability company. A high quality liability carrier can significantly reduce the cost of their premiums by only allowing coverage for physicians that meet the highest standards of care. Dr. Zeringue was invited to participate on the district council and brings new ideas as a private practice infertility specialist. Maintaining an infertility clinic with a high standard of clinical performance with an emphasis on patient education has been a goal of the clinic since its inception. As an infertility specialist in the Sacramento area, Dr. Zeringue brings a unique perspective the the Northern California district meetings. CAP/MPT focuses on providing quality service to its member physicians and strives to improve the practices of the members. New patient appointments now available in Roseville. As part of our growing family and increased demand for new patient consultations, Dr. Zeringue will conduct new patient visits in Roseville California. Patients affected with infertility seeking help from a Sacramento area fertility specialist now have another location available for their initial consultation. Patients interested in having an infertility consultation in Roseville should contact us to schedule an appointment. Dr. Zeringue joins to Touro University faculty to offer medical students the opportunity to work in an infertility clinic. Medical student education is vital to the development of the future of medicine. All physicians are charged with the duty to train less experienced physicians. Dr. Zeringue as accepted an adjunct faculty appointment with Touro University in the Bay Area. This appointment makes it possible for students to complete a rotation in Reproductive Endocrinology and Infertility in Davis, California. Fertility specialists are in the news after Octomom story breaks. Often it’s the unfortunate stories that bring attention to infertility treatment specialists. With the recent news of the woman delivering octuplets, many fertility specialists are reaching out to the community to clarify many misconceptions surrounding reproductive medicine. Fertility treatment specialists routinely avoid high-order multiple pregnancies involving triplets and higher numbers of babies. Dr. Ernest Zeringue conducted several live interviews with the Sacramento media including KCRA 3 and News 10. California IVF hold the first family reunion – Bellies and Babies in the park. Over 100 babies from our previous patients gathered with their parents for a day of fun in the park. The event turned out to be bigger than expected, but everything went well. Seeing the results of our patients struggles and the hard work of the California IVF staff was invigorating. It was a great experience for everyone to gather together in the park and catch up on how all of these beautiful babies have grown up. There were many women waiting on the arrival of their babies as well. The reunion was such a hit that many people were requesting to do it again next year. It seems that Bellies and Babies in the Park is now an annual event! California IVF expands its outreach to gay and lesbian couples. Having children can present unique challenges for gay and lesbian couples. California IVF: Davis Fertility Center, Inc. has expanded its outreach to homosexual couples. We provide all forms of services including donor sperm inseminations, donor eggs, and coordinate gestational carrier treatments. We provide a welcoming atmosphere and share in all of our patients desires to have a baby, regardless of sexual orientation. We have achieved a reputation of being gay and lesbian friendly and have worked with couples from across the United States. Potential patients can call and talk with our staff. We welcome questions from our potential patients and want everyone to feel comfortable becoming part of our family. Dr. Zeringue continues with his community outreach. After giving several lectures about insulin resistance and PCOS in the community, KCRA 3 picked up the story. The interest from the community was so great, two additional seminars were needed to help provide information to all of the individuals interested in learning more. KCRA 3 did a follow up story with a slightly different slant, implying there was controversy about the diet results, but fortunately patients were not swayed by the reporters attempt to “spin” the story. Deborah Johnson joins the team at California IVF: Davis Fertility Center, Inc.
California IVF: Davis Fertility Center, inc. expands insurance contracts. Health insurance coverage for infertility testing and treatment is increasing. As a result of this increase, establishing contracts with various insurance carriers becomes more important. California IVF has signed contracts with many insurance providers offering services for HMO, PPO, and IPA health plans. Insurance does not frequently cover IVF, but some patients have been surprised to find that the have complete coverage for all aspects of testing and treatment. We have expanded our staff to accommodate the new challenges presented by insurance. Contracts with local surgery centers allow for fixed cost tubal reversal surgery. Dr. Zeringue has years of experience performing tubal reversal procedures after a tubal ligation. With the new agreements, patients can now take advantage of an affordable alternative to IVF. Tubal reversal surgery offers women who had their “tubes tied” the opportunity to have the tubes reconnected. Nurses exceeding patient expectations The nurses at California IVF: Davis Fertility Center have maintained the highest degree of professionalism and compassionate care. We have received an impressive amount of feedback and accolades from our patients. This is one of the greatest markers of success a clinic can achieve. California IVF is proud to congratulate our nurses on their excellent standards of care. Serving the surrounding communities We provide services to locations throughout Northern California. We are working to build strong network ties in the following cities and more: Davis, Sacramento, Dixon, Vacaville, Fairfield, Vallejo, Roseville, Lincoln, Auburn, Stockton, Modesto, Napa, Lodi, Redding, and beyond. We have had many patients traveling from other locations within the state including Fresno and Southern California. We also work very well with patients from other states. With an efficient approach to care we can often minimize your visits to our center while maximizing your chances or reaching your goals of building a family. Lectures and CME activities are available for local physician offices. Reproductive endocrinology questions welcome any time! Fertility Diet Using his vast experience with insulin resistance Dr Zeringue has developed a simple to follow diet that helps improve your chances of pregnancy. Often times the diet alone will suffice to regulate menstrual periods, help with weight loss, and bring about a pregnancy. Hormonal testing is available. Our approach combines education with diet and may include medication. The combination of these things result in an impressive increase in fertility. There is evidence that this approach may significantly reduce pregnancy losses (miscarriage) as well. For more information please do no hesitate to contact our clinic. Military Discounts Having recently served in the United States Air Force as a specialist in Reproductive Endocrinology and Infertility at Travis Air Force Base, Dr. Zeringue is very familiar with the limited services available to members of the armed forces. California IVF is pleased to offer special discounts to military members currently on active duty. With knowledge of covered benefits as well as Tricare reimbursements, we will help minimize costs. Many of our services are also discounted. These benefits are not limited to people in our surrounding area but may be coordinated for patients at other military installations from around the world. Click for more information. Package pricing for IVF IVF services can be very expensive. In an effort to minimize the burden of cost, California IVF has introduced package pricing for our IVF services. This program offers affordable – flat rate pricing so you know your costs up front. Our 2 cycle option helps offset the cost of IVF and frozen embryo transfers (FET). Financing options help make the treatments even more affordable. California IVF opens new high-tech lab December 2004. Davis California. California IVF: Davis Fertility Center, Inc. opened it’s doors for business. After months of preparation and quality control the clinic was ready to meet the challenges of providing advanced fertility services. The new center features state of the art technology including the most advanced embryology equipment and modern air filtration system. With the assistance of engineers, the embryology lab was able to exceed “Clean Room” specifications. This high level of air purification helps provide a less hostile environment and minimizes contamination from air pollutants. Combined with advanced incubators, heated work surfaces, and rigid protocols, California IVF is pleased to offer one of the most advanced embryology laboratories in the area.